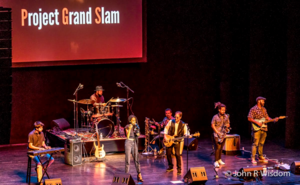 Robert Miller’s Project Grand Slam is a Jazz Rock Fusion band with a twist of Classic Rock and Latin from New York City. Formed in 2007, the band is led by acclaimed bassist/composer Robert Miller. To date, PGS has released six highly regarded albums. Their newest CD, Trippin’, has just attained the #1 spot on Billboard’s Contemporary Jazz chart. This summer the band has performed at seven music festivals including their first two in Europe in Norway and Serbia. PGS has earned over one million video views, developed a large fan base, and performed at various prestigious venues (including the Ridgefield Playhouse) and with a number of well known artists. Friday, September 14, at 7pm: the leader of the Cuban jazz movement Dayramir Gonzales will unleash his unique musical blend at the Ridgefield Library. Part of Havana’s prestigious Instituto Superior de Arte, Gonzales will lead a discussion on Afro-Cuban Jazz at 4 pm, also at the Ridgefield Library. Free performance. Saturday, September 15, at 2 pm, the super-talented jazz and pop guitarist Gil Parris will perform at the Aldrich Contemporary Art Museum. Free performance. Saturday, September 15, at 8 pm, legendary blues guitarist Robert Cray will take the stage of The Ridgefield Playhouse to perform the tunes that have helped win him five Grammy Awards and build a huge international following. Leading him off is the high-energy brass sounds of Funky Dawgz Brass Band. Tickets at ridgefieldplayhouse.org. Sunday, September 16, the super fun Ridgefield High School Jazz Band will perform at Lounsbury House at 2 pm, led by music leader Michael McNamara. Free performance.